Penny Tompkins and I started introducing David Grove’s work to the NLP community in 1996, and we have continued to do so ever since. If you are new to Grove’s work and our modelling and systemisation of it, then some of the terms in this article may be unfamiliar. They are, however, explained in the footnotes and in our previous articles, all of which are available on our web site. While the content of this article is about joining up the work of David Grove, the article can also be read as a process for designing the join up of many other techniques and approaches. Phase I focussed on working with the organisation of a client’s subjective experience — and in particular their internal metaphor landscape. Clean Language was created to direct a client’s attention to their interior perceptual world so that it became psychoactive. Clean Language questions are ‘clean’ because they restrict the facilitator to universal metaphors of form, space, time, relationship and intention. Phase II concentrated on using physical space to create a network of perspectives. The questions and instructions of Clean Space aim to establish psychoactive relationships between physical spaces. 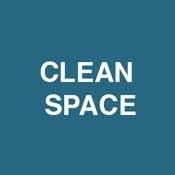 Clean Space is ‘clean’ because its questions and instructions are limited to using metaphors of discovery, knowing and space, and precious little else. Phase III primarily involved the iteration of simple algorithms to produce new insights or ‘recognitions’. The family of Emergent Knowledge processes are ‘clean’ in a different way — the client’s content hardly influences the process and the facilitator’s interventions are strictly controlled by a formula. My aim in this paper is to present a model that ‘joins up’ the three phases yet still maintains their individuality. Rather than trying to integrate them into a single process I’ve borrowed the metaphor of ‘join up’ from The Horse Whisper, Monty Roberts. Grove met Roberts and found his ultra-respectful work with horses had echos of Grove’s way of working with clients and their unconscious. Roberts said “Join-Up occurs when the animal willingly chooses to be with the human”. Join up happens when the horse and human start working as a team — with neither sacrificing their individuality. I believe it is important to understand and be adept in the workings of each domain of experience and each language model separately, before seeking to combine them. Why? Because each domain has it’s own nature and each language model has its own function. Metaphor is the faculty of experiencing an abstract or complex aspect of life in terms of a more embodied, simpler and analogous experience. Networks involve a number of interconnected, yet separate spaces/nodes which through their interactions establish a meaningful configuration. Recognition arises from attending iteratively to a knowing. The choice of which Clean Language question to ask is largely informed by the logic of the client’s metaphorical content. A facilitator-modeller is with the client every step of their metaphorical journey. Clean Space is a more pre-defined process. The content of the client’s perspective has much less influence on the facilitator’s choices. The facilitator is somewhat removed from the inner workings of the client’s mind-body. With Emergent Knowledge algorithms, adherence to the process is paramount — almost regardless of what the client responds. The facilitator stays outside the process, so their choice is mostly about timing and delivery. One of the ways to distinguish between the three language models is to notice how much of the client’s content is involved. In Tables 1, 2 and 3 you can see how often the client’s exact words/nonverbals (represented by “…”) appear in the question/instruction sets of each of the three processes. “…” appears in most Clean Language questions, in a few Clean Space questions/instructions, and not at all in the Emergent Knowledge, Powers of Six (Po6) process. To preserve the special characteristics of each domain and language model, the facilitator not only needs to restrict their language as specified, they need to use their nonverbals only in ways that are congruent with the client’s perspective. The medium is the context and ‘environment’ within which the process takes place. The means is the actual behaviours and procedures used to facilitate the process. The method is the overall approach, guiding principles and philosophy that the facilitator uses to decide when, where and how to intervene to shape the direction of the process. I expect you can see how the medium, means and method is similar but not quite the same as Robert Dilts and Todd Epstein’s Logical Levels. For example, I use ‘environment’ in its metaphorical as well as physical sense. Let’s take a look at the medium, means and method in relation to Grove’s work. Perceptually, the medium within which the client works is the same as the domain of experience, i.e. Metaphor, Network or Recognition. Grove took care to ensure that his processes applied to all the ways clients expressed their inner world. He liked to say he was an “equal information employer”. A clean approach minimises the contamination of the client’s interior and exterior worlds by the facilitator’s language and behaviour; and by working with the client’s verbal and nonverbal cues, maximises the flow of the client's own reality and creative emergence. People new to Grove’s work often mistake the most accessible part of the process, the language models, for the whole process. Just learning the Clean Language questions, for example, won’t make you a Clean Language facilitator. Penny Tompkins and I called our model of Grove’s Phase I, Symbolic Modelling, in an attempt to highlight that both the medium (symbol/metaphor) and the method (modelling) are as important as the means (Clean Language). Having looked at the medium and at the means, I will now consider the methods Grove used. I will do that by comparing three of his processes to a generalised method for working emergently. This is not to be thought of as a linear process. The core stages 2, 3 and 4 form iterative feedback loops which give an overall directionality within the non-linearity of the process. As you will see later, the distinction between ‘establishing’ and ‘exploring’ is important when it comes to joining up bits of Grove’s three processes to create novel procedures tailored to particular clients at particular moments in their development. Tables 1, 2 and 3 detail the common questions asked and instructions given in each of the five stages for processes based on Clean Language (Symbolic Modelling), Clean Space, and Emergent Knowledge (Powers of Six) respectively. you like me to be? When ..., what happens to ...? What happens just before ...? Where could ... come from? need to be in relation to it. What does this space know? And is there anything else you/this space knows? places paper to mark space. you know from here now? And is there anything else you know about ... [another space] now? Use metaphors given to groups of spaces. Choose a size of paper and write or draw what you want to work on. where it needs to be [=B]. in/at the right space / angle / height / direction? What does that [B/C] know? And what else do you know? Having established what constitutes Grove’s three processes and how they can be distinguished, we’ll turn to how they can be combined. While there are numerous possible combinations of questions/instructions, my aim is to join up the three question sets in ways that preserve the nature of each domain of experience. It’s like mixing paint. If you keep mixing colours, eventually the character of each individual colour is lost and you end up with a mess. Whereas if you mix carefully in appropriate proportions, you end up with new colours and subtle hues. The key is to mix in such a way as to make use of the unique features of each colour. Think about these levels as containing larger and larger chunks of the process. Diagram 1 shows how each stage of the 5-stage process consists of a number of vectors, each of which in turn comprise a number of questions/instructions. Typically one question and response takes from a few seconds to a few minutes. A ‘vector’ is a number of questions/instructions which together head in a particular process-outcome direction. A client and facilitator will commonly be on a vector for 2-15 minutes. Stages comprise a number of vectors and take anywhere between five minutes to an hour or more. The simplest way to join up the three processes is to complete one, and to use what emerges as the seed for starting a different process (represented by the solid line in Diagram 2). A more sophisticated join up switches within a process (as shown by the dotted lines in the diagram). It is important at this level that each switch occurs only after going through at least Stage 1 (Set up) and Stage 2 (Individuation) of a process. That is, to establish a domain each time before switching. The output of a Clean Space activity can be used as a starting point for a Powers of Six process (e.g. “Put this [the network] on a piece of paper and place it where it needs to be”); or as a seed from which to build a metaphor landscape (e.g. “And now you know all that, that’s like what?”). While Diagram 2 and the examples show a single switch, it is possible to follow the first switch with a second to either a different process, or to return to the starting process. A vector sits between the level of individual questions/instructions and the level of the stages. Each vector involves stringing together a number of questions/instructions to provide a short-term direction to the process (not the client’s content). A number of vectors are usually required to ‘go through’ any stage. The transition between each stage will always necessitate a new vector. Joining up the processes at the vector level is more tricky than at the stage level. It takes a good deal of skill and awareness by the facilitator to retain the properties of one domain of experience while using a language model originally developed for a different domain. The primary difference between join up at the vector level compared to join up at the stage level is that at the switch the facilitator does not Set Up the new process but makes use of one or more vectors from a different process within the framework of the original process. Done well the switching will be seamless to the client. Diagram 3 shows vectors for one process inserted into the general flow of a different process. It’s like genetic modification where a bit of genetic material is imported, cut-and pasted, into a host gene. Once a metaphor landscape has been established by a Clean Language process, run a Powers of Six iteration on an aspect of the landscape and incorporate the result into the landscape. This might be appropriate if the client introduced a significant knowing, e.g. in answer to a Clean Language question they might say, “Well the first thing I know is …”. You might respond with: “And what’s the second thing you know?” … “And what’s the third?” … “And the forth?” … “And the fifth?” … “Sixth?” … “And now what do you know?”. You then revert to Clean Language to facilitate the client to find out how the result relates to, or affects the rest of the landscape. Once a metaphor landscape has been established, use Clean Space questions/instructions so the client moves around physically in relation to their metaphor landscape. This could be within the landscape using the location of symbols as existing spaces, or to one or more spaces outside – making the whole landscape the focus of the activity. Once a network has been established by a Clean Space process, use Clean Language to develop a metaphor while retaining the structure of a network. This would be appropriate if the client started describing the relationship between the spaces/nodes in metaphor, e.g. “The line between those spaces looks like a river”. The skill is to develop the metaphor while maintaining the psychoactivity of the rest of the network. Run a Powers of Six iteration on [A] the space the client is in; or [B] on what the client originally drew/wrote; or [C] the space between. Then continue with the Clean Language process. Use a recognition from a Powers of Six process, to run a Clean Space process with a Po6 iteration in each space. Use a recognition to identify a knowing into an embodied symbol using the ‘Feeling/Knowing to a Metaphor’ vector (“And when you know that, where is that knowing?” etc.). Then invite the client draw their metaphor and use that to continue with a Po6 process. When joining up at the vector level it is important to establish a domain (Stages 1 and 2) before bringing in a vector from a different process. If you don’t, you risk ending up with a heap rather than a whole. For example, asking about a metaphor in the middle of Po6 series of questions will likely ruin the Po6 process. Similarly, having a client move to a Clean Space process before a metaphor landscape is established may well result in the client losing touch with the psychoactivity of their metaphor. At the lowest level it is possible to occasionally introduce a single question/instruction normally used in a different domain. The skill is to choose the appropriate moment. If you do it too often, not only are you asking the client to do a lot of mental gymnastics, you will likely pull them out of their current domain. And if they do not stay in one domain for long enough they will unlikely get beyond the obvious. Diagram 4 depicts an ongoing process with a number of questions/instructions inserted from one of the other processes. - Find a space outside of all of this [the landscape]. - And now what do you know? - And when [event], what happens to [name of space]? - And what does [name of symbol] know from there? - And what does [name of symbol] know about [another aspect of the landscape]? - Find a space that know what you would like to have happen. - Find a space that knows what needs to happen for [client’s desired outcome]. Given the nature of the Powers of Six process it is not appropriate to interrupt the six iterations with any other form of question/instruction. Therefore input from any other process needs to come between the sets of six iterations. In this paper I have shown how Grove’s three brilliant and innovative leaps produced three stand-alone processes; and how each process can be mapped onto five stages of a universal bottom-up methodology. I have also shown how these processes can be joined up at three levels: stage, vector and question/instruction level. Once you become adept at working with each process in the relevant domain using the appropriate language model, you can then experiment with join up. Doing it this way mens you will understand the nature of each domain and the function of each question/instruction in preparation for joining them up in new and creative ways. On a meta-level, the way I have have mapped out the join up of Grove’s three processes could be used as a generalised model for combining many other techniques and approaches. Finally a reminder. This paper has been written from the facilitator’s perspective. The only purpose for joining up any of David Grove’s work is to serve the individual client who has entrusted themselves to your expertise.